To prepare ham, use a sharp knife to score skin around ham hock. Use fingers to peel back skin around the ham leaving the fat in tact. Use a sharp knife to score through the fat in a criss cross patter (be careful not to cut through the meat). 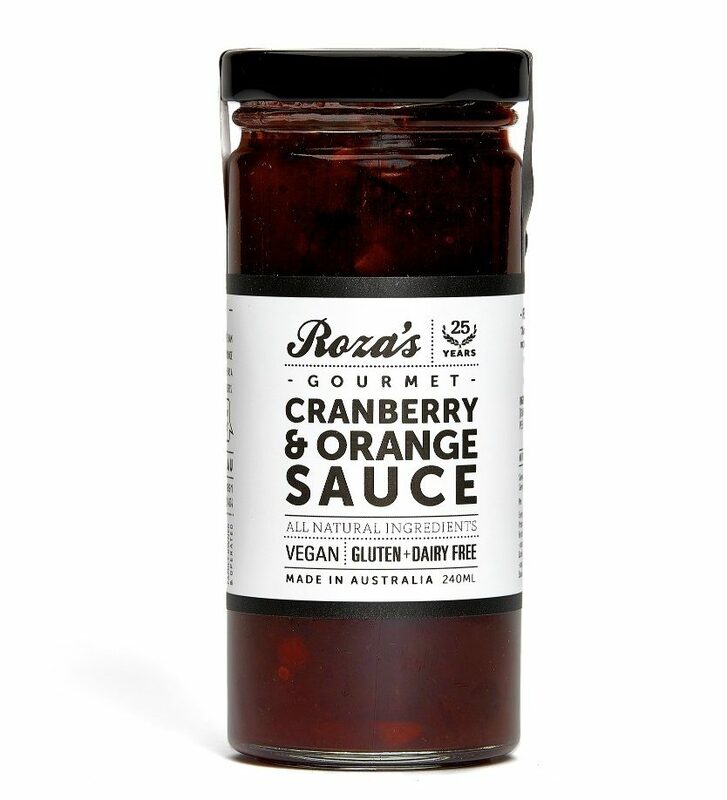 Brush ham with a generous amount of Roza’s Gourmet Cranberry & Orange Sauce. Pierce a clove into each diamond. 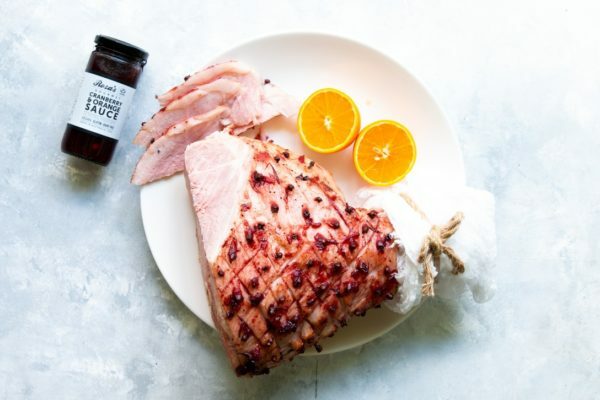 Place ham in a roasting pan and cook in oven for 15-20 minutes or until it starts to colour. Remove from oven and brush again with another layer of sauce and put back into oven for another 15-20 minutes. Repeat one- two more times if needed for extra colour and caramelisation. 1. Take out ham from fridge up to an hour before prepping, this will make it easier to remove skin from ham. 2. 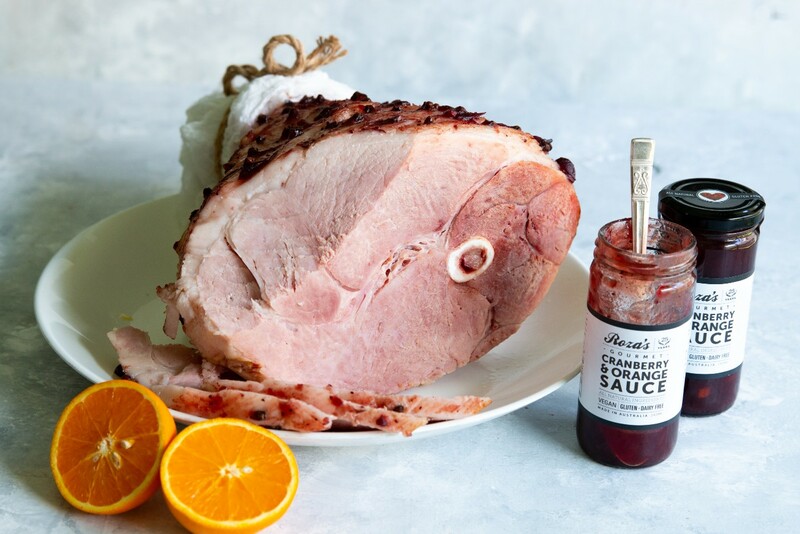 If time permits, re-glaze ham every 10-15 minutes to enhance flavours and caramelisation. 3. Watch the base of your baking tray doesn’t start to burn from the glaze, if so add a touch of water to the pan.